Now a days everyone likes to buy through online because of two important reasons. One is won't go to anywhere to purchase, can buy sitting into home, another rates are cheaper than retail stores. you can buy your home needs too in online. Here are the 3 best sites to buy provisions online in India. 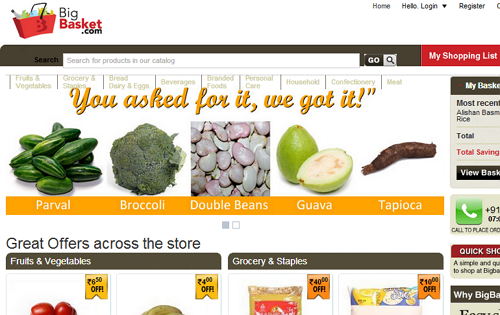 Big basket is a popular online store to buy fruits, vegetables and provisions over the internet. Big Basket takes 2-3 working days to deliver goods to your home. Big Basket supports phone order too. If you purchased above Rs.1000 they deliver your goods without delivery charges. 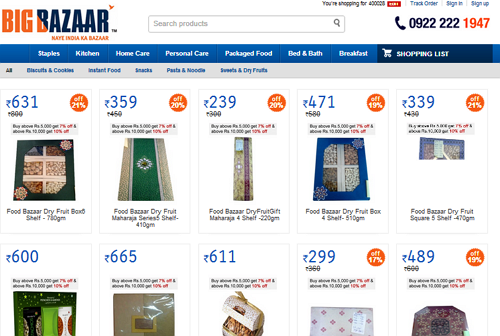 Big Bazaar is a famous retail store having 214 stores in India. last 4 months before it opens online store to sell products over the internet. It has largest collection of goods in different categories. Big Bazaar currently available in Mumbai only. In future it may available other cities. 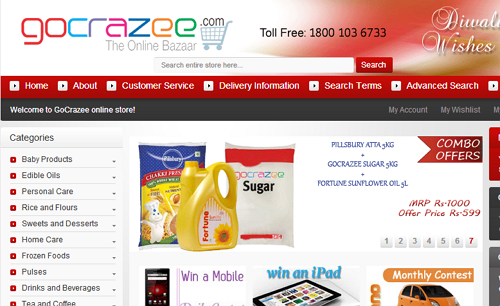 go crazee is a new site but such a useful site to purchase provisions in online. It sales 10,000+ products through online store. Delivery Charges depends upon the amount of purchase. If you purchase Rs1000+ get free home delevery.